Lauren McLeod joined the Royal Society of Biology as Head of Education Policy in July 2017. Before that she worked on gender projects, including Opening Doors, and higher education projects as part of the education team at the Institute of Physics, and as a science teacher in North London. During her teaching practice she completed a part time Masters in Science Education at the Institute of Education, focussing on public engagement with science through social media. At RSB, education falls within the policy directorate and covers primary, secondary and tertiary education. 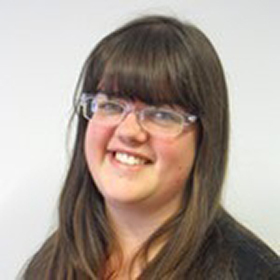 As education policy team lead Lauren regularly engages with policy makers across the UK, other learned societies and the bioscience community. She leads on the Society’s curriculum framework development and oversees networks of Heads of University Biosciences, Biology Education Researchers and education leads in RSB’s member organisations.